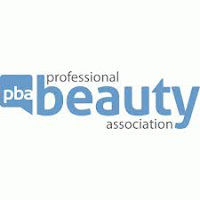 Professional Beauty Association Scholarships help students interested in a career in cosmetology to further their education with the goal of attaining their cosmetology license. Several scholarships are available. Smooth N' Shine Cosmetology Scholarship awards 11 scholarships annually to high school seniors planning to enroll in a school of cosmetology to attain a cosmetology license. The scholarship is sponsored by Schwarzkopf & Henkel who makes Smooth N' Shine hair products. The grand prize winner will also receive an all-expense paid trip to Long Beach, California to attend the International Salon and Spa Expo. Sally Beauty Scholarship awards 7 scholarships to high school graduates entering the field of cosmetology and to current cosmetology professionals who want to pursue continuing education. It is funded by Sally Beauty Supply, a distributor of beauty supplies since 1964. PBA Minerva Scholarship awards five scholarships each year to students who are already enrolled in a school of cosmetology. This scholarship is funded by Minerva Beauty in Monroe,Georgia who manufactures salon equipment. The deadline for this scholarship is usually in AUGUST, and the award amount is usually $1,000 - $25,000.